The following information is from The Lutheran Church--Missouri Synod. © Copyright 2003 - 2005. All rights reserved. The word "Synod" in The Lutheran Church--Missouri Synod comes from Greek words that mean "walking together." The term has rich meaning in our church body, because congregations voluntarily choose to belong to the Synod. Though diverse in our service, these congregations hold to a shared confession of Jesus Christ as taught in Holy Scripture and the Lutheran Confessions which we believe are a correct interpretation and presentation of Biblical doctrine. Contained in The Book of Concord: The Confessions of the Evangelical Lutheran Church, these statements of belief were put into writing by church leaders during the 16th century. The simplest of these is Luther's Small Catechism. 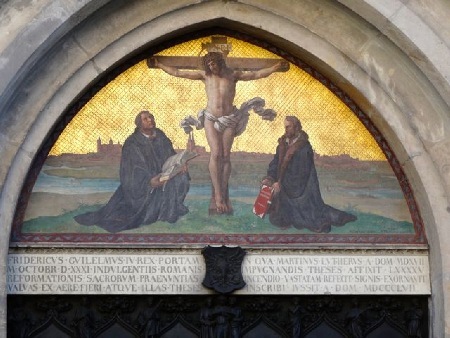 The Augsburg Confession gives more detail on what Lutherans believe. The Synod's Commission on Theology and Church Relations provides study documents and statements of various theological issues. Answers to theological questions may be found on the Frequently Asked Questions web site. A series of downloadable pamphlets offer insight on variety of doctrinal topics, moral issues and concerns in the church.